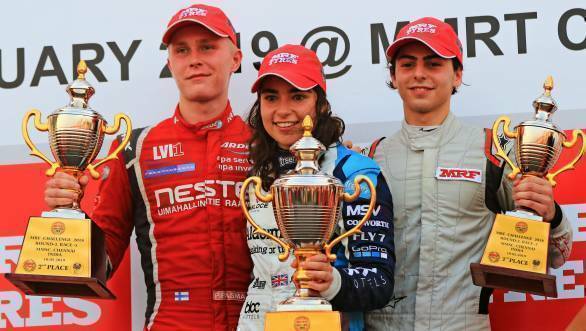 In a dominating show on the last day of Round 3, Jamie Chadwick won the MRF Challenge title for 2019. This makes her the first woman to win the championship in the seven seasons that it has existed. 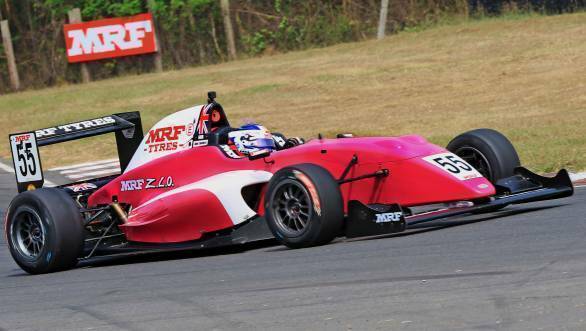 Three races were held today, February 10, in MRF Challenge's premier MRF F2000 class, at the MMRT. In the first race, Patrick Pasma worked hard to get to the finish first. A short safety car period wiped out a comfortable lead he had built over Michelangelo Amendola. Pasma managed to keep Amendola at bay though. Linus Lindqvist finished third behind Amendola. Chadwick and Defourny, the two championship contenders, finished fifth and seventh in this race. Chadwick won the second race of the day. Two major incidents on lap 1 itself meant the race was restarted and shortened to 18 laps. She got past pole-sitter Jack Doohan at the start and then defended her position throughout. Amendola and Doohan finished behind her. By this time, Chadwick had also increased her championship lead over Defourny, who finished fourth here, to 18 points. In the final race, Chadwick had a good start again. She took first place, having started third, before the first turn. Defourny had a tough time again, dropping from second to sixth. Patrick Pasma tried hard to pile on the pressure, but ultimately had to settle for second ahead of Amendola. With six wins in 15 starts, Chadwick ended the championship with 280 points. This also includes two points for the fastest lap in the last race. 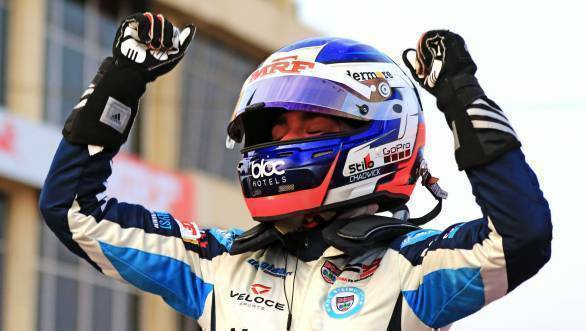 Max Defourny lost his 18 point advantage at the start of the round, finishing second with 243 points. Pasma took the third spot in the championship with 186 points. Speaking of her success, Chadwick said, "It (winning the championship) hasn't sunk in yet. I would like to thank my team too and am happy that everything came together this weekend. In the last race, I made some mistakes which cost me a bit of the lead, but I quickly composed myself and made sure I won.